Motivation, Inspiration, Education, or a Kick in the Pants! What do you need? Kick your day off right... from the start! Champion Motivational thoughts personally written by Shelley Taylor-Smith that are guaranteed to be quick to read, quick to motivate and quick to inspire you to leap into your day! "Through one of your workshops, your CD's and regular Champion Motivations, you've helped me lift my head up and go for the things I really want without feeling as though I have to apologise to anyone and without walking over those around me. It is good to hear that you listen to yourself and take the breaks you need. It also gives all of us encouragement to know we are not wimping out when we take a break when we need one. Thank you so much for being real!" #1: Start Achieving More Success! #3: Attract Everything You Deserve in Your Life! 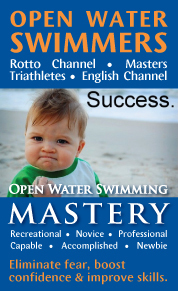 #5: 8 Ways to Think Like Champion Michael Phelps (mp3)! #6: Obtain Valuable FREE Products, Articles and Interviews! #7: Be the First to Discover Great Breakthroughs!